This 78 RPM mono cartridge is derived from Audio Technica's AT33, except that its stylus and suspension have been changed to play 78 RPM mono records. It features the solid aluminium body with internal damping with extra synthetic Hanenite resin of the AudioTechnica AT33 range, with a 78 conical stylus bonded onto an aluminium cantilever. 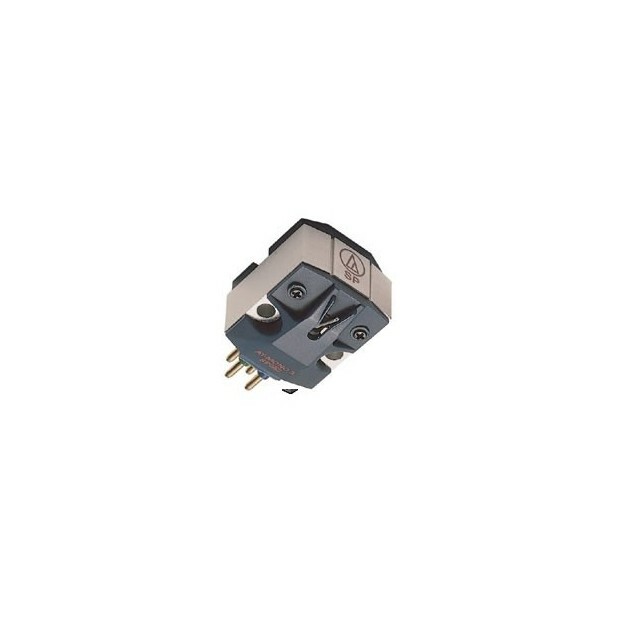 The suspension of this AudioTechnica phono cartridge has been optimised to minimise vertical oscillations on 78 RPM records. In fact, the output signal is solely obtained with the horizontal component of the movement. The vertical compliance has been optimised to minimise groove and stylus wear. This AT-MONO3/SP cartridge is recommended for mono 78 RPM records like Shellacs, released between 1925 and 1952. This cartridge delivers one of the best sonic performances for this format. If we were to name the best 78 rpm cartridge on the market? Definitely Audio Technica's AT-Mono 3/SP!